Bring the Heat to Party and Right Before Your Guests Eyes! One of our Signature Service Style is Action Stations. This type of Food Station is where one of our Chefs cooks right in front of your guests! Whether it be Mini Handmade Corn Totilas with Marinaded Grilled Chicken or Pork Carnitas, Fresh Shrimp in a Cilantro Passionfruit Pesto or Handmade Flatbreads with Arugula, Prosciutto and sliced Onion; we bring the heat to the party by grilling, sautéing, or searing fresh ingredients right before your guest eyes! 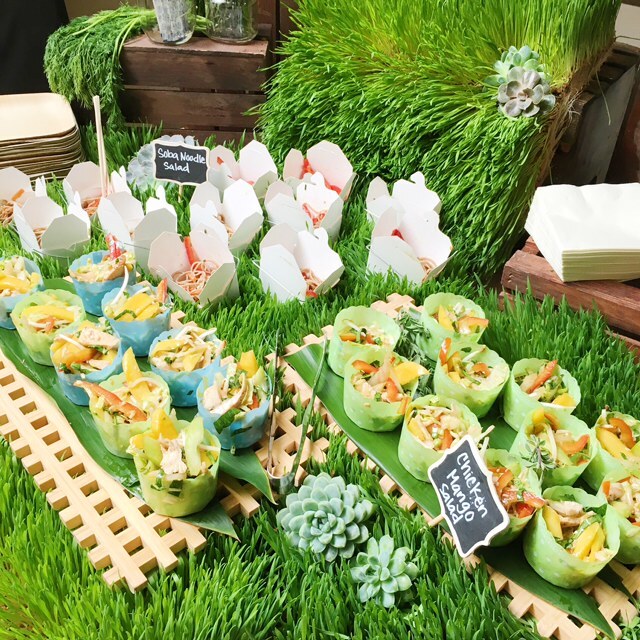 Last week at the Cancer Center / Sansum "Sneak Peek" Building Project, we served our guests with a Pacific Rim Station and Mini Burger Station with Handmade Roasted Kate Chips, Seared Salmon, Soba Noodle Salad, Ahi Spring Rolls, Chicken Mango Salad and more! 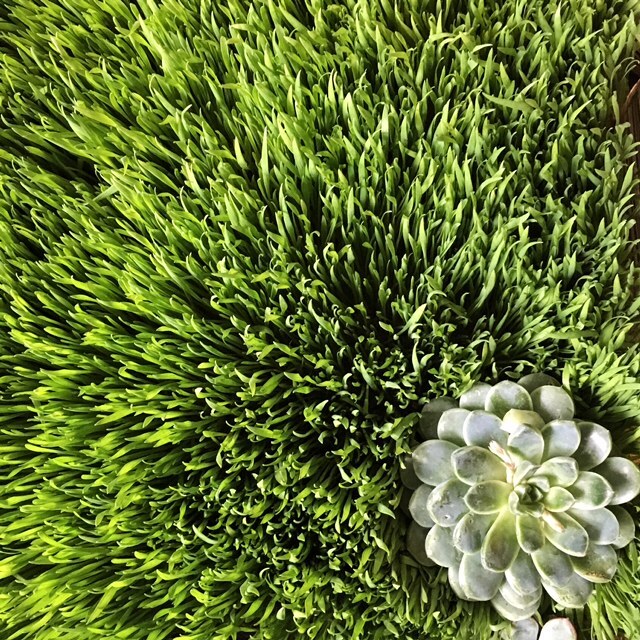 To tie in the "healing garden" theme, we covered our stations in Herbs and Wheat Grass.